Gritting orders of salt to melt ice and snow on roads have increased dramatically during 2016/17 winter in the UK. Councils have ordered around 1.3 million tonnes of salt ahead of the winter gritting season (between October and March). This has almost doubled the number from the previous year and 100,000 kilos more than the amount used in the severe winter of 2010/11. Mayflower Smart Control, a company that provides solutions for the management of exterior lighting and associated illuminated equipment, has been approached by Amey and Hampshire County Council to discuss the use of smart technology to find a solution to the use of excessive and unnecessary gritting of roads during cold weather. 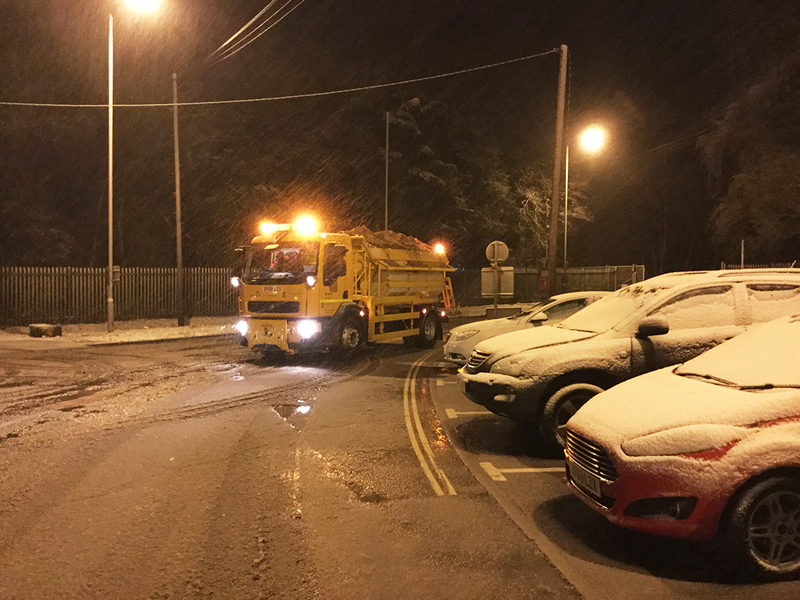 The project has been deployed in different locations on a priority 1 gritting route in the Winchester area (Hampshire, UK). Mayflower Smart Control has trusted Waspmote Plug & Sense! Sensor Platform to develop a pioneering project that will enable highways maintenance teams to make more informed gritting decisions based on local weather conditions. Decisions regarding when to grit a road are generally based on weather forecasts provided by various suppliers, including the Met Office. These weather forecasts are based on relatively large geographic areas where road surface temperatures can actually vary by as much as 15◦C. These wireless sensor networks monitor road surface temperatures and weather specifically on gritting routes, enabling winter service teams to make better informed decisions. 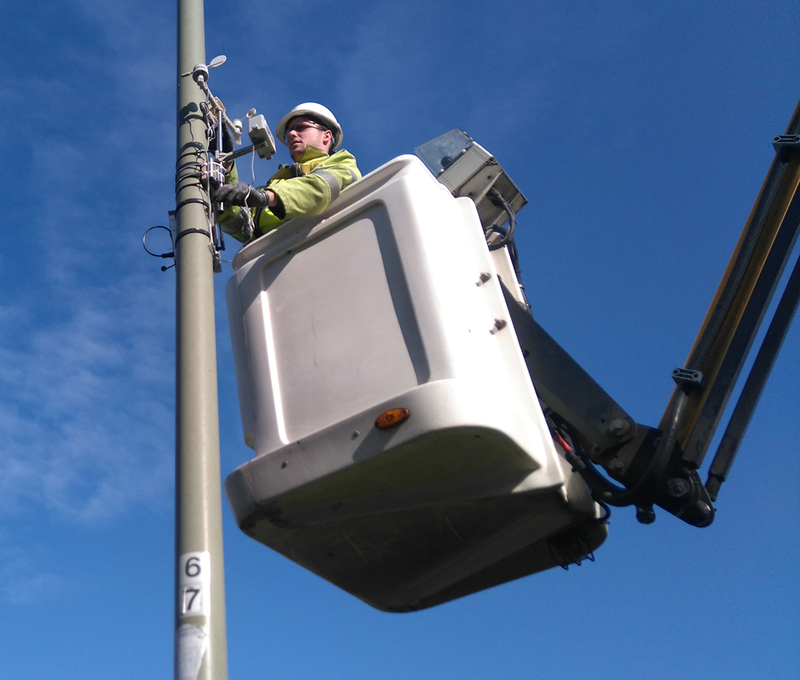 The devices are attached to street lighting columns that use the Mayflower Smart Control street lighting control network to communicate with analysis platforms. In the project the devices used are the Waspmote Plug & Sense! Smart Agriculture PRO and Weather Station WS-300 with different sensors: atmospheric pressure, humidity, temperature, anemometer, pluviometer and wind vane. These installations in five points of the roads allow monitoring weather conditions such us wind gusts and speed or rainfalls to prevent and detect the need of gritting. For road temperature, the company has deployed third party sensors. Mayflower’s control system is based around ZigBee communication protocol, and Libelium sensor platforms used in this project are offered with the ZigBee compatible devices. “Libelium has a wide range of sensors, and most of these are of interest to local authorities in analysing environmental conditions”, has explained Patrick Mitchell, Managing Director of Mayflower Smart Control. Libelium Plug & Sense! Sensor Platforms send the information from the sensors through ZigBee to Mayflower Gateway. All the data gathered on the Gateway is sent to the Cloud using 2G and 3G to be visualized in Sentilo platform, based on Amazon Web Services. This information is useful for making decisions in real-time and also for future forecasting of weather and road conditions. The initial challenge of the project has been to demonstrate immediate operational benefit and savings being able to make a go/no decision in marginal situations. Winter Service Provider decision makers, Amey for Hampshire, are receiving up to date, accurate, localised information on surface and air temperatures in order to assist in gritter area decision making. Data generated by weather stations during this winter will be analysed during 2017 summer time and on the basis of the results will be used next winter. 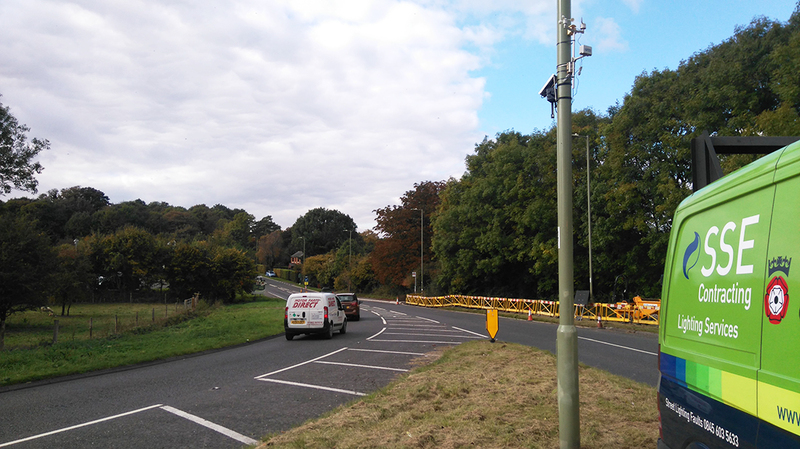 “This is an exciting innovative project that will enable Hampshire County Council to make better use of its resources; this new approach could lead to a radical overhaul of how we focus on the problem of when to grit a road”, has said Rick Robinson, Amey’s Director of Technology. This smart solution is not only saving money for the council in terms of cutting down the amount of salt, but also by reducing the local authority’s carbon footprint, with fewer gritters out on the roads and man-hours wasted. It is estimated that up to three days per year can be lost to crews waiting on stand-by when not required. Rob Humby, Executive member for Environment and Transport at Hampshire County Council, has considered that “the initial outcomes from the Smart Winter trial are very encouraging and the County Council is keen to explore how new and innovative technologies such as the Mayflower system and the ‘Internet of Things’ can be embraced to deliver the most effective and efficient winter maintenance services to our residents”. 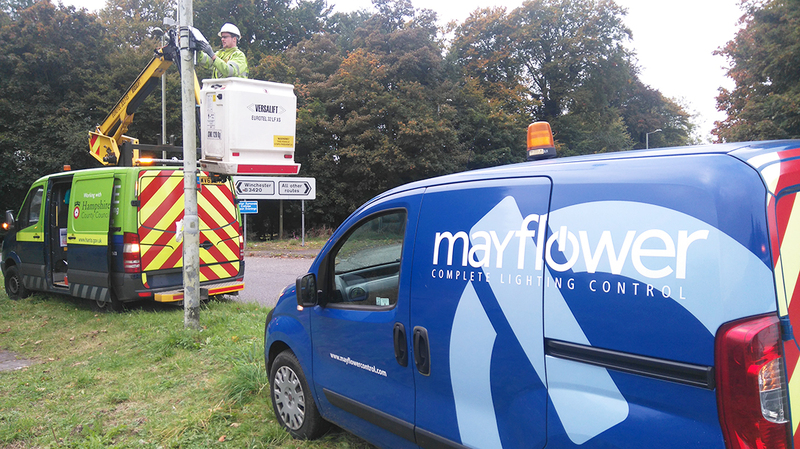 Smart street lighting networks, developed by Mayflower Smart Control, give areas greater coverage and provide city managers with the ability to install other compatible low-cost sensors or applications which provide more granular data. 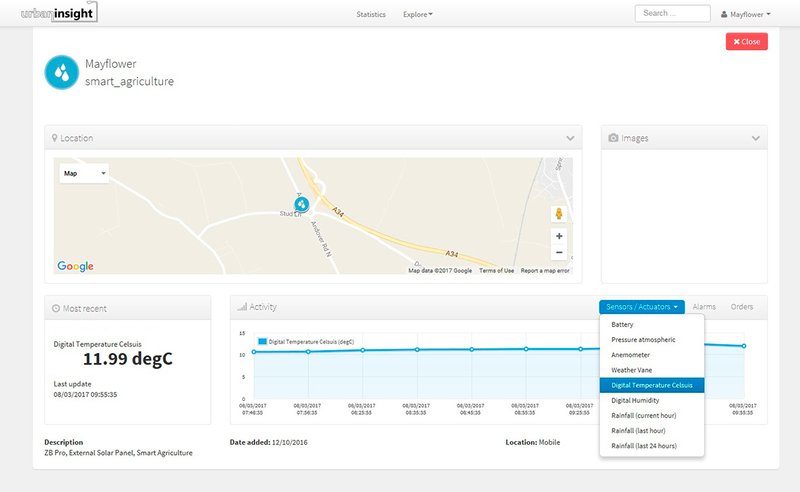 Mayflower Smart Control aims to install the IoT devices to CMS system everywhere to monitor weather and road conditions to help gritting services. 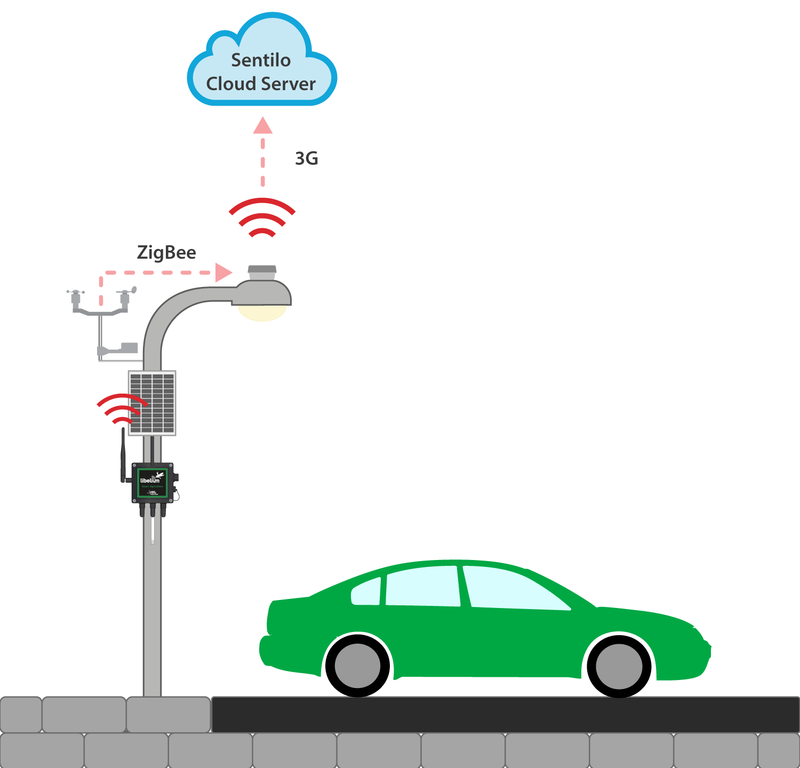 Nordic countries in Europe or urban areas at high altitude can be next projects to develop the wireless sensor networks. 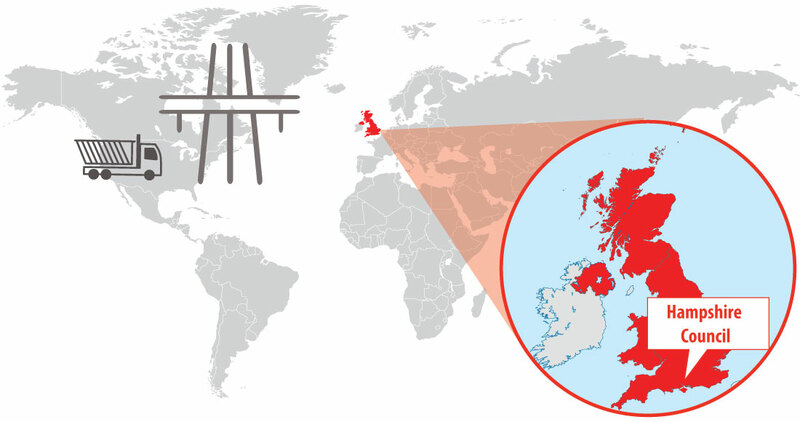 It depends on the priorities of local authorities and the road system of each country. That’s Solent TV, a local television station on the south coast of England, has broadcasted a report explaining the project of Mayflower Smart Control to improve highways management in the UK. Read more about Libelium sensor product lines in the Waspmote, Waspmote Plug & Sense! Sensor Platform and Meshlium IoT Gateway websites.